Standing Oblique Cable Crunch is an effective exercise for isolating the oblique and serratus muscles but also engages the transverse abdominis or lower abdominal muscles. Standing Oblique Cable Crunch uses a short pathway that focuses on getting a strong contraction on the oblique muscles. You can use a heavier weight on this exercise to build stronger oblique muscles and hip flexors. The oblique muscles are important in stabilising the hips and supporting the lower back. Set the height of the cable pulley above your height. Grab the handle of cable pulley handle with one hand. Move slightly to the side to create tension on the cable. Assume a shoulder width position. Tighten your core muscles; keep a flat back position. Bend at the waist toward the side facing the cable station by contracting the oblique muscle. Bend until your elbow almost touches the hip. Hold the position for a count of “one”. Return to the starting position by extending the oblique muscle; resist the weight. Once you have completed the targeted number of reps, switch hands and work the other oblique muscle. Perform the exact number of reps. When doing Standing Oblique Cable Crunch, focus on pulling the oblique muscle toward the hip. Do not initiate the crunch by using your arm to pull the weight toward your hip. 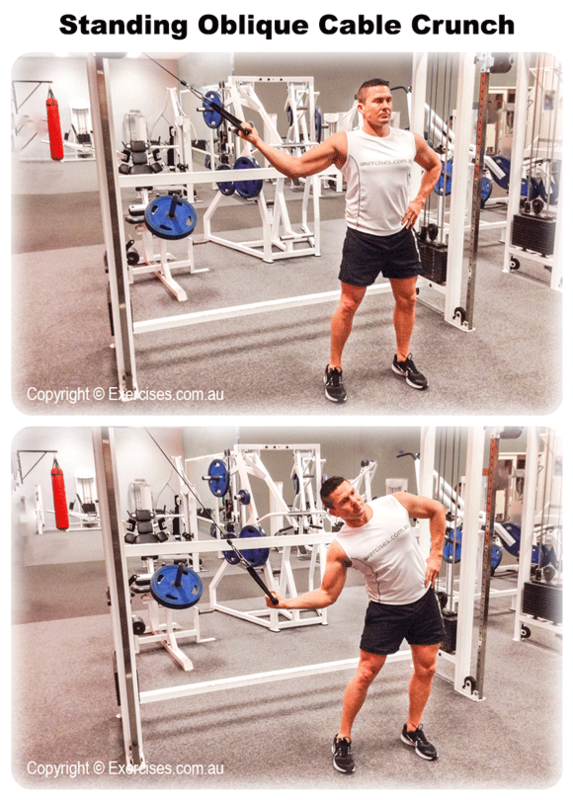 The arm position must remain unchanged throughout the exercise. Bend at the waist; do not sway or move your hips. The hips must remain stable and firm while doing Standing Oblique Cable Crunch. 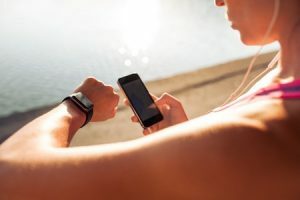 Fitness Watches – Isn’t It Time To Ramp Up Your Training?